Non-wrinkling; non-yellowing. Dry to the touch in 30 minutes. 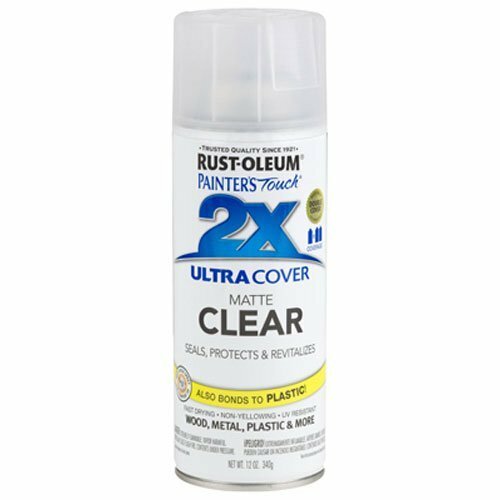 Rust-oleum s painters touch Ultra cover 2x delivers twice the coverage as other competitive brands! the advanced double cover technology provides the best formula for ultimate hiding power, which allows projects to be completed faster and easier. Apply to wood, wicker, metal, plaster or unglazed ceramic. Fast-Dry formula resists chipping and fading. Ultimate coverage. Smooth, durable finish. Any-angle spray with comfort spray tip. Any angle spray. Comfort spray tip. Fast drying. Improves artwork and photo contrast. Dries to the touch in 10 to 15 minutes. Dry to handle in 2 hours. For use on paper, wood, metal, glass, plaster, ceramic, paper Mache, dried silk flowers and plastic. Automotive rubberized undercoating, series: professional, aerosolized mist, Black, 15 oz capacity, aerosol can packing, 10 - 15 sq.-Ft coverage, 200 deg F, -156 deg F flash point, 466 G/L VOC, 0.893 specific gravity, solvent like odor/scent, applicable materials: metal, application method: spray, resists: corrosion. Rust oleum automotive 248656 15 oz automotive undercoating spray paint, Black rust oleum automotive 248656 15 oz automotive undercoating spray paint, Black features: 15 oz spray paint provides corrosive protection from water, salt and other chemicals helps deaden sound rust preventive formula provides a barrier from rust on cars, trucks, trailers and other recreational vehicles professional grade rubberized Dries quickly paintable Black. Giani Countertop Paint Kits are the perfect fit for budget conscious DIY kitchen makeovers. 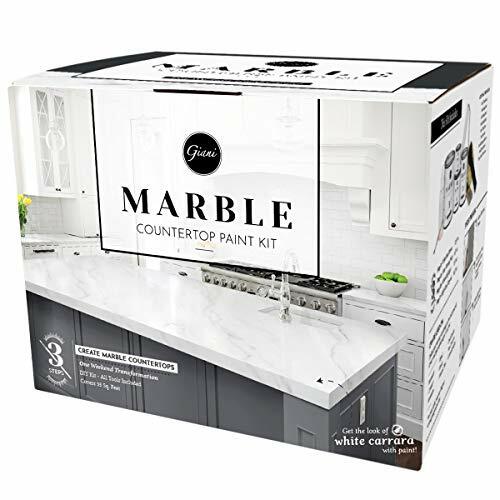 A simple 3-step process with all tools included, each kit will help you transform your existing countertops to the look of natural granite in just one weekend. The typical project time is approximately 4 hours of painting and 16 hours of drying time. 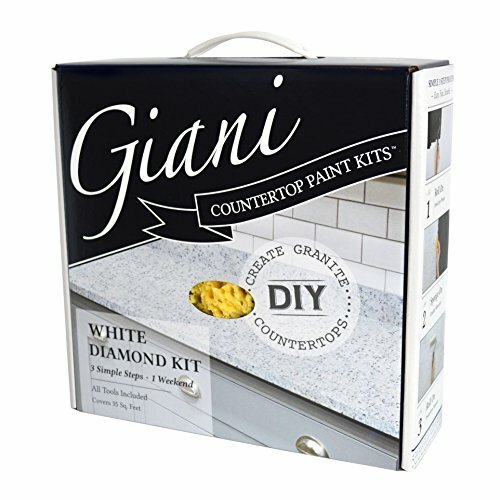 You may fully use your countertops as normal after allowing 14 days for your Giani application to cure. Each kit covers up to 35 square feet of countertop surface area and provides easy cleanup with Giani Countertop Cleaner or gentle soap and water. 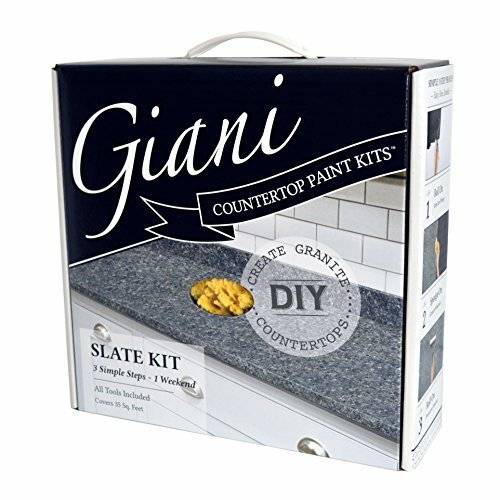 Giani Countertop Paint is durable and will hold up under the stress of normal, everyday use. Giani is formulated to cover typical countertop materials such as Formica, Corian, laminate, ceramic tile, cultured marble, butchers block and traditional granite. Visit the manufacturer's website for live chat support and to receive help with project ideas, design advice, application assistance and more! Warranty: 1 year limited warranty. Please contact the manufacturer more details. The typical project time is approximately 4 hours of painting and 16 hours of drying time. You may fully use your countertops as normal after allowing 14 days for your Giani application to cure. Clean your countertops with an SOS or Brillo pad to remove any old grease, dirt, or wax. Rinse off the cleaner with a damp cloth a few times. Do not use any other cleaner because it may leave a residue. Visit the manufacturer's website for live chat support and receive help with project ideas, design advice, application assistance and more! Warranty: Seller cannot control use of the product and will not accept liability for more than product replacement. 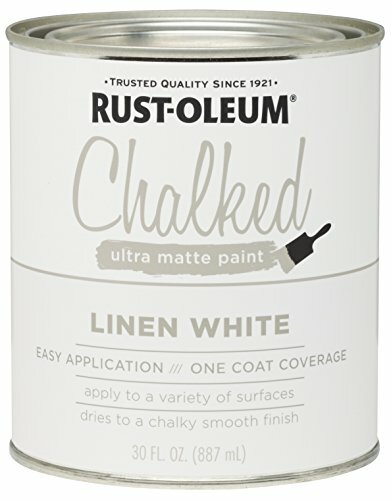 Rust-Oleum Stops Rust Protective Enamel Paint is the No. 1 rust-preventive paint available, provides lasting protection and beauty in a wide variety of colors and finishes. It features any-angle technology that allows to spray hard-to reach areas, even upside down and a comfort tip with a wider finger pad to reduce fatigue caused by continuous spraying. 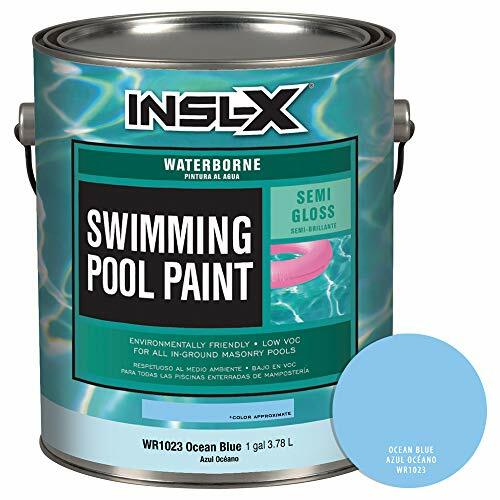 Waterborne Swimming Pool Paint is a low-VOC coating that can be applied to slightly damp surfaces, dries quickly for recoating, and withstands continuous submersion in fresh or salt water. 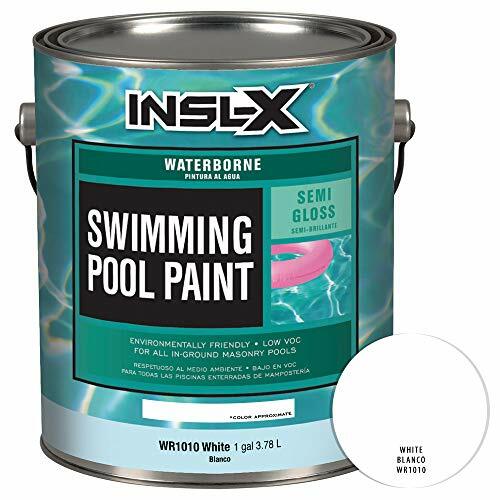 Use Waterborne Swimming Pool Paint over most types of properly prepared existing pool paints, as well as bare concrete or plaster, marcite, gunite, and other masonry surfaces in sound condition. Ocean Blue Waterborne acrylic emulsion swimming pool paint. Use with fresh or saltwater swimming pools. 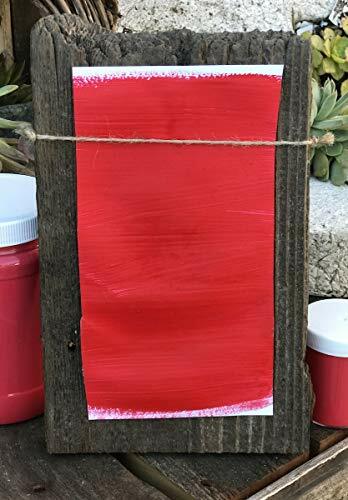 Quick-drying acrylic swimming pool paint. 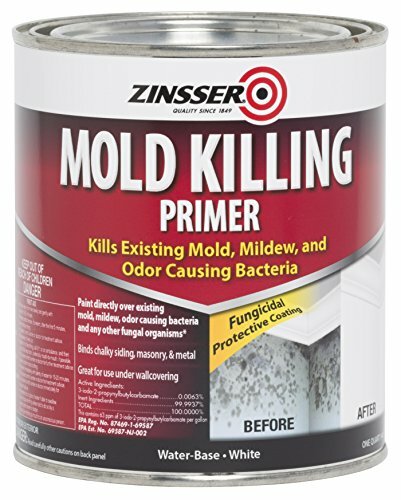 Can be applied over most types of properly prepared existing pool paints. Ideal for bare concrete, marcite, gunite & other masonry. Brand: INSL-X | Manufacturer: Benjamin Moore & Co.
Easy to set up in Minutes: -In just a few simple steps, the Spray Shelter can be set up in your working area. You can do your Spray painting as soon as possible. 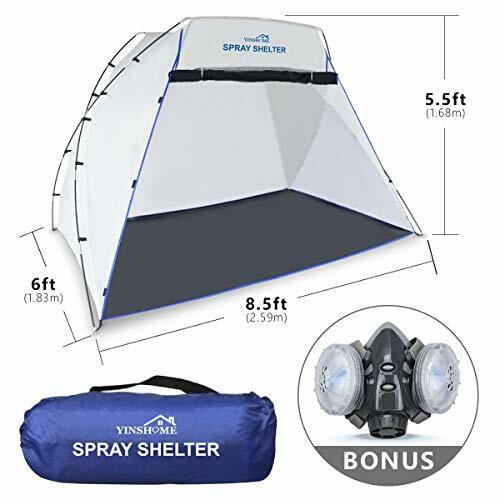 Easy to set up in Anywhere: -The Spray Shelter can be set up and taken down in minutes and packs up into the small bag provided for easy storage. This temporary structure can be used in a yard, garage or shed, which makes painting less of a hassle. Easy to set up for Medium to Large Projects : -This portable paint booth provides plenty of space to spray a wide variety of projects. EASY TO SETUP:The Spray Shelter curved three-sided paint shelter with sewed-bottom cloth,Provide a large area for DIY Spray painting or stain,avoid overspray drift to surrouding area and floor.the structure is simple and easy to set up. WATERPROOF BOTTOM-CLOTH:The spray paint shelter has waterproof bottom cloth,even if the paint dropping down,it would not seep out of the spray paint tent.Do not worry about clear your drop cloth or floor if you have this spray paint booth. 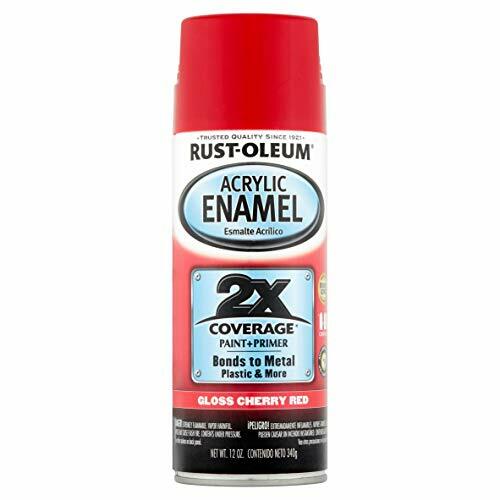 Rust-Oleum Automotive Acrylic Enamel 2X provides a smooth, ultra-shiny coating. It covers with less spray passes which allows for faster project completion. Offers an any angle spray, including upside down, which makes it easy to paint hard-to-reach areas along with an unique comfort spray tip to reduce finger fatigue while painting. White Waterborne acrylic emulsion swimming pool paint. 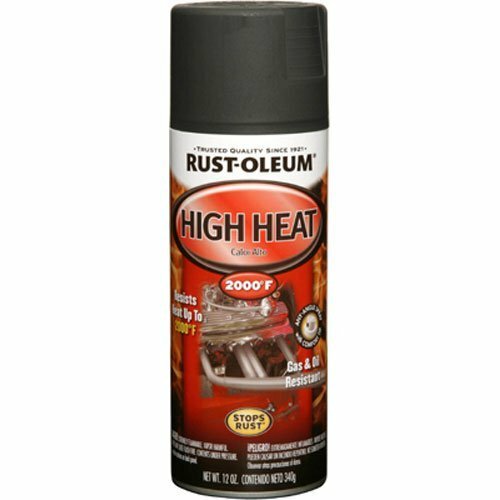 Rust-Oleum Stops Rust Advanced Spray Paint improves on the original Stops Rust formula with a 30% greater corrosion resistance and enhanced color retention. New high output tip sprays up to 50% faster than before to make any project easy to complete. Apply fast drying paint on outdoor metal projects such as mailboxes, patio furniture and more for a tough attractive finish. 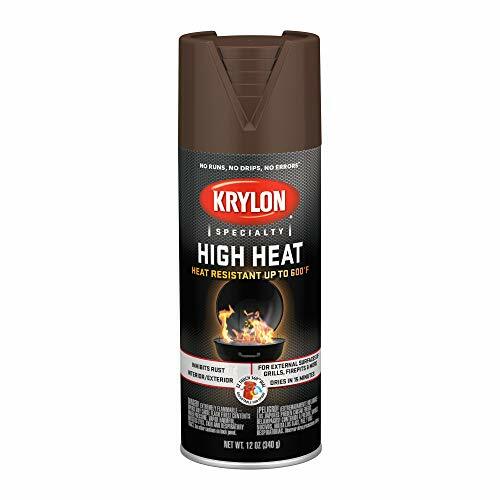 Krylon High Heat provides high heat projects with the high-quality protection they need, stands up to high temperatures and protects against rust.